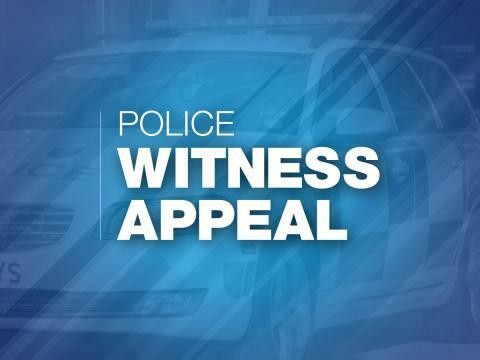 We are appealing for information after a man had his wallet stolen in a street robbery in Andover. It took place at around 11pm on Thursday 21 March, as the 50-year-old victim was walking home along Goch Way. A car pulled up alongside him and two men got out. They attacked him from behind and kicked him in the groin area, before leaving in the car with the victim’s bag. The bag and some of its contents were found at around 11.20pm in Altona Gardens, Saxon Fields. A brown leather wallet containing a driving licence and banks cards, as well as a set of keys, are missing. One of the men is described as being around 5ft 10ins, and he was taller than the second man. Both were of slim build. We are appealing for anyone who saw the incident in Goch Way, or anything suspicious in Altona Gardens or Saxon Fields, to contact us. Any information you have could help our investigation. If you have any information, please contact us on 101, quoting reference number 44190099440.